Grass seed collecting at an Austin Water Water Quality Protection Land preserve yielded a nice collection of Silver Bluestem, Tridens, and Sideoats Gamma. Eleven volunteers, with some representing the Capital Area and Hays County Master Naturalists chapters, worked two hours on a sunny mid-day. Volunteers are trained to collect ripe seed from native forbs and grasses. The seed is cleaned, stored and eventually used to replant areas nearby that have been managed with prescribed fire. Using seed collected close to where it will be replanted not only helps ensure optimal conditions for its regrowth, but saves quite a bit of money, too. 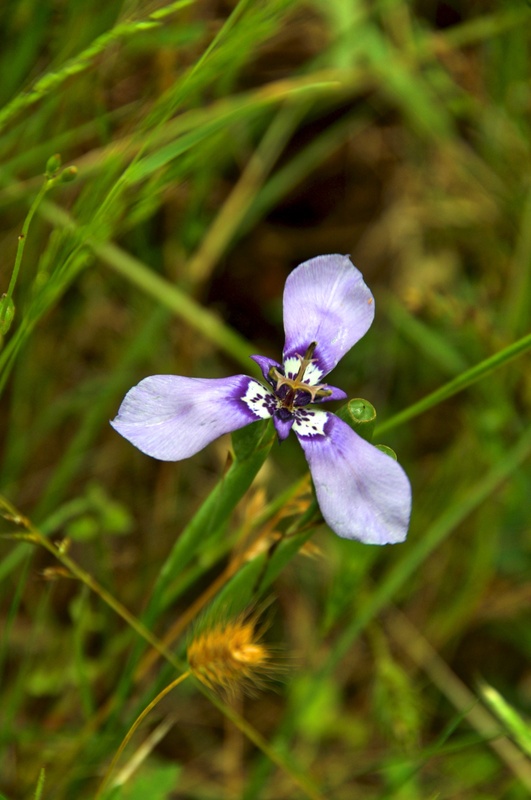 Devin Grobert, a City of Austin biologist who oversees the seed collection efforts, estimated the worth of volunteer-collected seed from these workdays at over a thousand dollars, while noting some had limited or no commercial availability. Photo courtesy of R. Lance Jones, Hays County Master Naturalists. Some people think I, as president, do nothing in CAMN but send emails and run some meetings. Today I offer a spot of proof to prove otherwise. 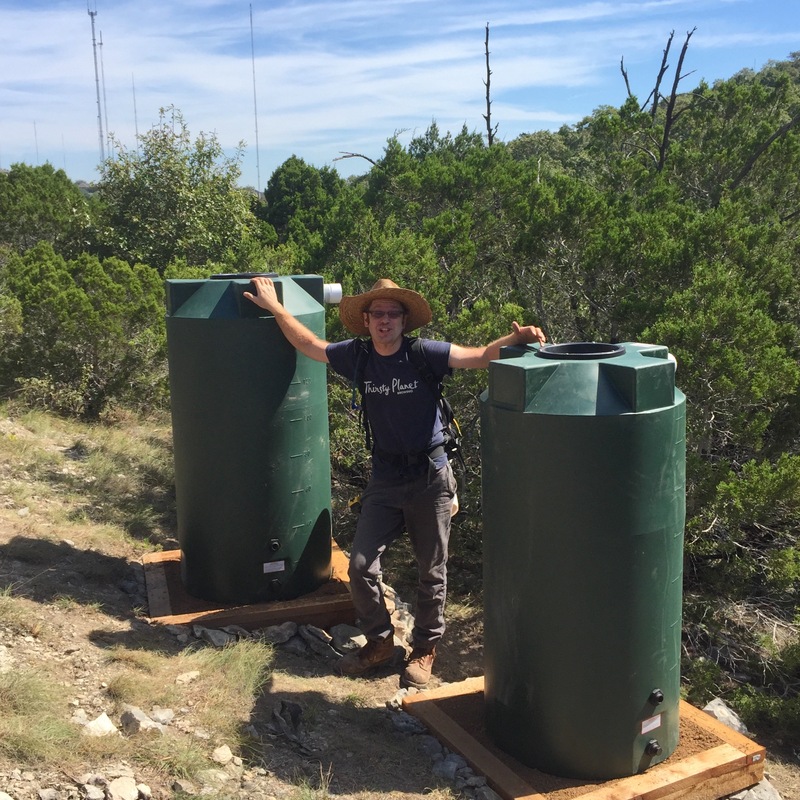 I was photographed in the wild at a work session on Austin Water/Wildland Conservation Division’s Vireo Preserve at the completion of one of the last steps of finishing our rainwater collection system. 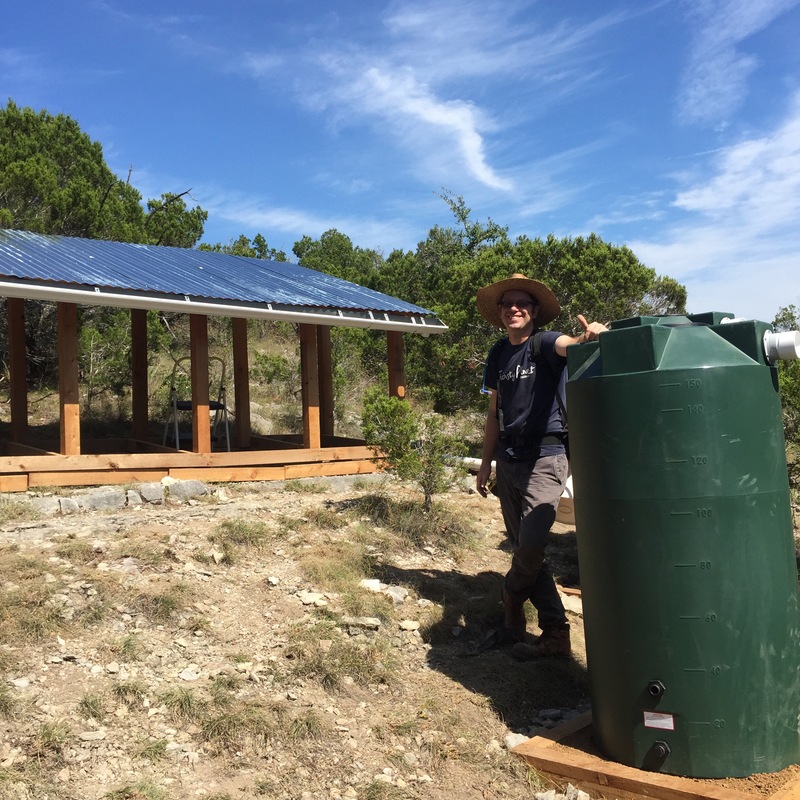 This remote-canyon roof structure will help free volunteers from having to haul water a quarter-mile each week over narrow trails to a staging area known as “Terry Town” (after longtime Wildland volunteer, Terry Southwell—also from the CAMN class of 2013.) The water is used, mostly by Terry, to help get newly-planted native forbs, grasses and shrubs established. While the property does feature a spring that runs most of the year, volunteers take great pains to avoid disturbing its natural flow and the plants and wildlife that have become established around them. Today we completed the pads for the pair of 150-gallon tanks, and attached gutters to the roof. The last remaining step in the all-volunteer construction project will involve running PVC pipes from the downspout to the first tank, adding overflows, and attaching spigots. 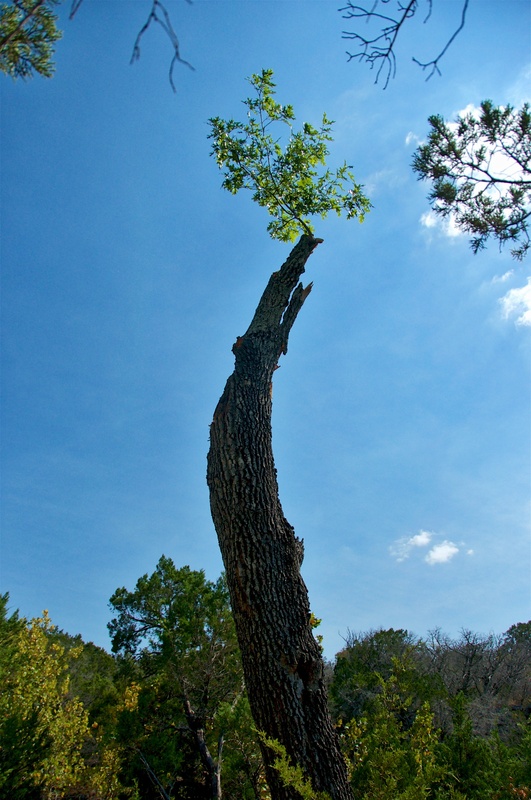 Then, the process can be turned over to the whims of Central Texas weather. The roof, at 128 square feet, will collect enough water to fill the two tanks after 4 inches of rain. And, if you’re interested in some of the fun projects Wildland Conservation and Austin Water dream up to help protect critical habitat for endangered species, and the water quality of our local segment of the Edwards Aquifer, please see http://austintexas.gov/department/wildland-conservation-division Members of the public can sign up for guided hikes on protected preserves, or volunteer to help in a wide array of conservation efforts, from public outreach to land stewardship. herbertia lahue… included apropos of nothing. CAMN is an incredibly diverse group, with not only a lot of moving organizational parts, but dedicated people who take on many tasks to help run our business. Some of them serve on the board. But many without recognized titles quietly help with organizational tasks like reviewing applications, coordinating classes, and setting up or taking down our meetings and events. While much of this is not the field work or natural interpretation work we love – because who loves a good meeting more than a hike in the woods?? – the work should nonetheless fulfill a personal sense of mission and pride at whatever level we choose to engage. And because no one—not me, not the board, not another member—commands anyone else to do anything, we each serve doing what we can as best we can. When we have exquisite successes, we sometimes may only get modest outside recognition. When we don’t always follow through with certain tasks, we should never beat ourselves up too much. This is first-and-foremost a labor of love and not something we’re chained to. 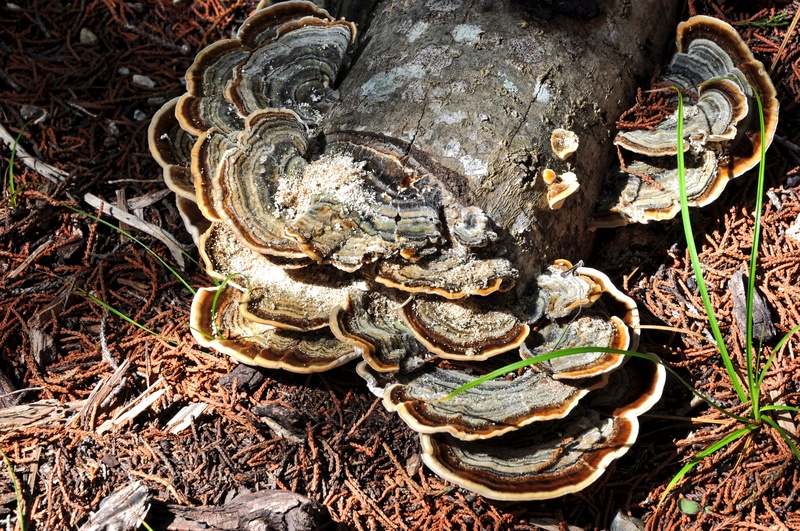 Turkey tail fungus (Trametes versicolor). Ligustrum log inoculated with turkey tail fungus. 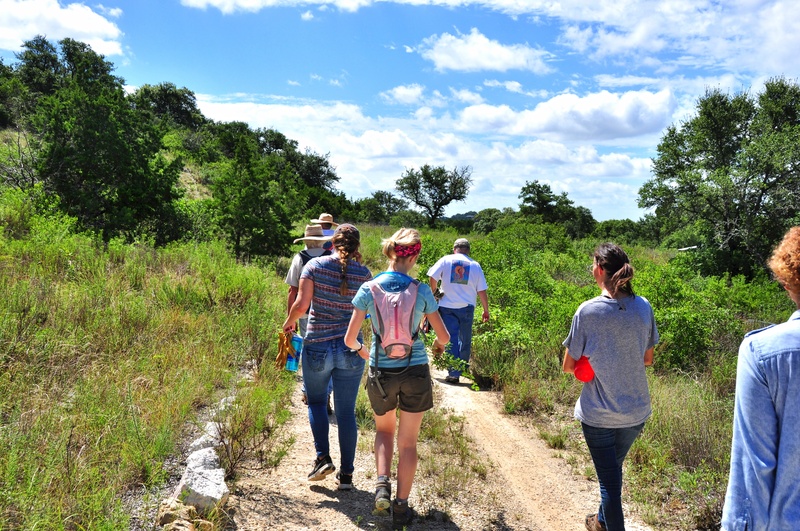 On one particular 209-acre preserve in West Austin – one that abuts the well-known Wild Basin Preserve – a City of Austin biologist, Jim O’Donnell, has been leading almost-weekly volunteer work groups to restore natural areas that had been historically mismanaged by clear-cutting and scorching fires that damaged the soils. Jim has been following the principles laid out in Paul Stamet’s work Mycelium Running to rebuild the mycorrhizal networks that are increasingly understood to be the backbone not only of healthy ecosystems, but of plant communication and survival, as well. Through application of compost, compost tea, sheet mulching, berms and swales, and mass plantings of seedings of native forb, grass, shrub and tree species, the preserve has undergone a remarkable transformation in a relatively short period of time. 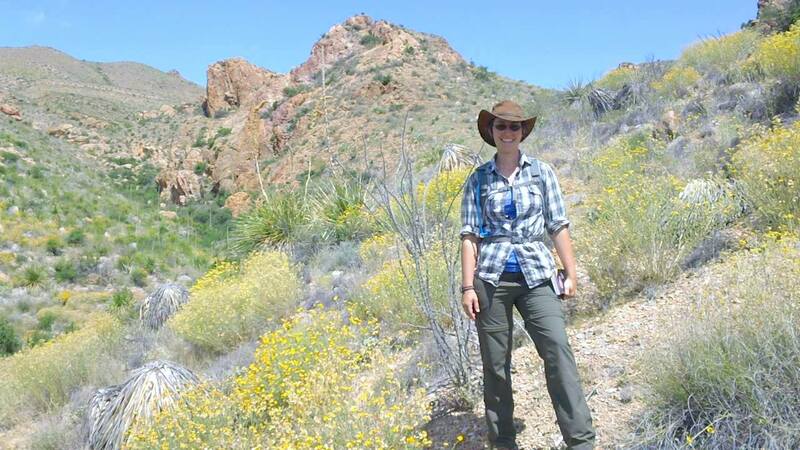 Volunteers – many of them CAMN or other Texas Master Naturalist members – haul water for the newly-placed plants, help build restoration trails, and will shortly begin constructing a rainwater collection system to aid in getting water down into the canyons. One of the more intriguing experiments at the preserve has shown some vibrant results. 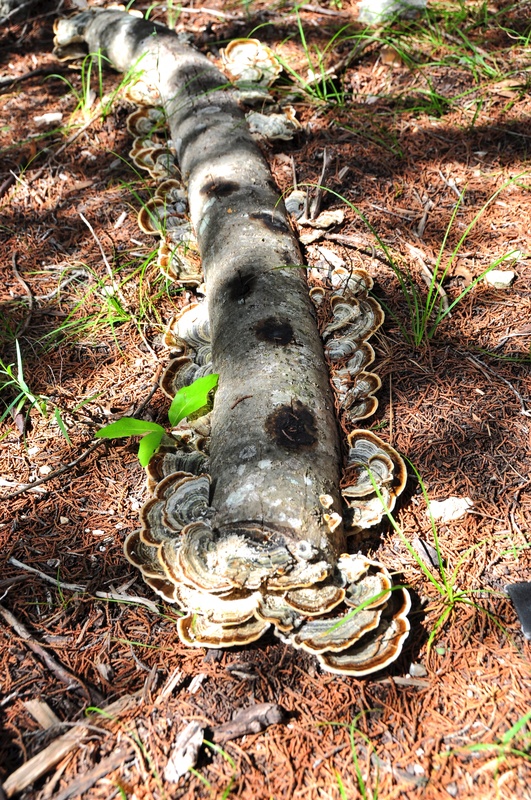 The logs taken from cut invasive ligustrum trees were drilled and inoculated with the spores of the turkey tail fungus (Trametes versicolor). Placed in the woods along the restoration trails, these logs have sprouted some of the colorful fruiting bodies of these fungi. If you spend any time reading about mycelial networks, and then wander through a healthy forest, it can be a little mind-boggling to imagine the vast and complex interchanges between plants that are taking place right below your feet, aided by fungal networks. Much of this wasn’t even known until about 20 years ago, and even now, we’re only beginning to understand the magnitude of these networks and their impact on ecosystems. If you’re wanting to get a good glimpse into some of the science, there are many resources available – from books to TED Talks to articles in popular journals. One of the most accessible, however, might be from the science-reporting superheroes at Radiolab. 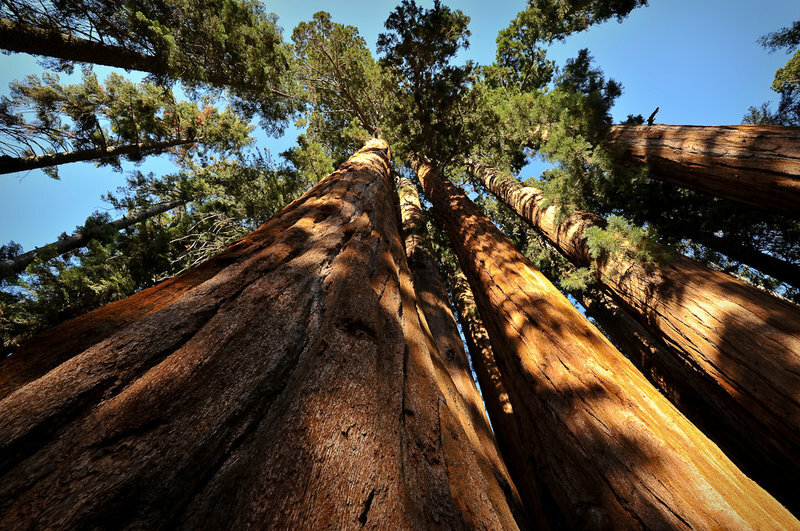 Catch their podcast From Tree to Shining Tree… good for an inspiring morning run or commute.